There are times when great pieces of music can be produced out of the most unlikely source material. 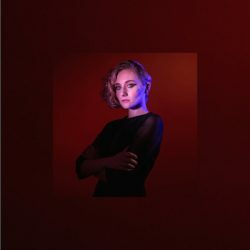 As, in her own words, the poisonous marriage of Jessica Lea Mayfield unfolded before her eyes, she started to write lyrics that began to reclaim her life as she reflected on years of domestic abuse. As the songs took shape they acted as therapy and the end product is a searingly open and honest piece of work. If that all sounds like an album to be wary of then it shouldn’t. While some of the tracks are wrapped up in some heavy sounding guitar grunge these are countered by other beautifully crafted numbers where the lyrics are delivered in a more melodic fashion. Perhaps these two very distinct sounds work shouldn’t work together but it is to Mayfield’s credit that she has pulled this off to great effect. Mayfield has had an unconventional lifestyle that included playing in her family’s bluegrass band at the age of eight and the release of her first album when she was fifteen. Sorry Is Gone is album number four and Mayfield has still not reached the age of thirty. She has already worked with Seth Avett of The Avett Brothers on an album of Elliot Smith songs and he reappears here amongst Mayfield’s musical co-conspirators alongside drummer Steve Shelley, bassist Emil Amos and Cameron Deyell on guitars. If she makes anyone feel uncomfortable with the level of honesty she projects on this very personal project then Jessica Lea Mayfield is making no apologies. As she states on the pared-back acoustic track Safe 2 Connect 2, Mayfield has ‘been through hell, there’s no tellin’ what might happen in the future, all I can do is be thankful for each moment that’s my own.’ She may have been driven by her own need for musical therapy but, in so doing, Mayfield has delivered a brilliant slice of Americana.